Standards for keeping official records under the new Form of Government are handled by stated clerks of the presbytery. Many presbyteries are excited (or just being pushed) to move to a digital work flow. Keeping official electronic records can be daunting because of the numerous options available. PDF/A is being embraced by archives, libraries, and government agencies around the world as a standard for digital files. 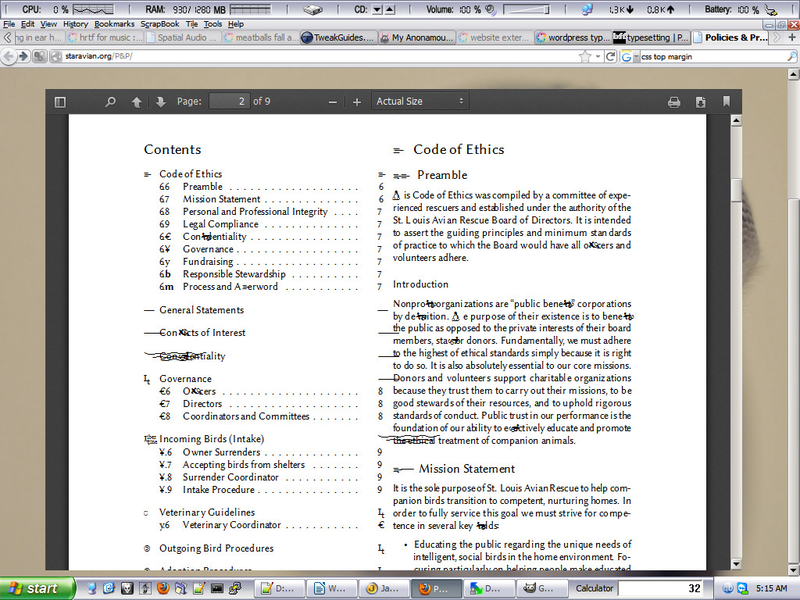 Not all files are best represented in PDF. In our collections, we've run across screensavers, for example, which no one can say confidently will be accessible 50 years from now, or even five years from now. For congregational records, PDF/A should be a go to standard for final documents, minutes, publications. 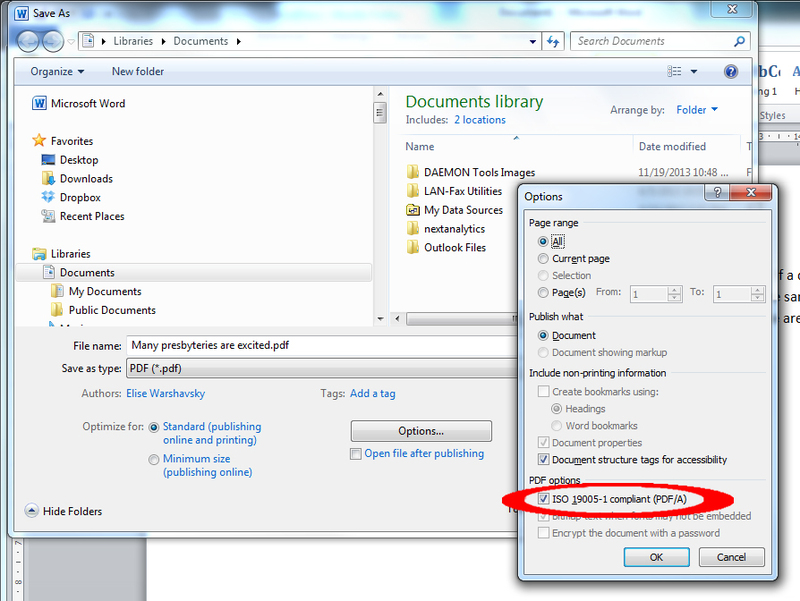 PDFs can be created directly from most applications, and there is usually the option to make the file PDF/A-compliant. There are many other guides and tutorials on saving to PDF/A. If you need help figuring out how to save to PDF/A with your application of choice, please comment here, or email the PHS Digital Archivist  for help.